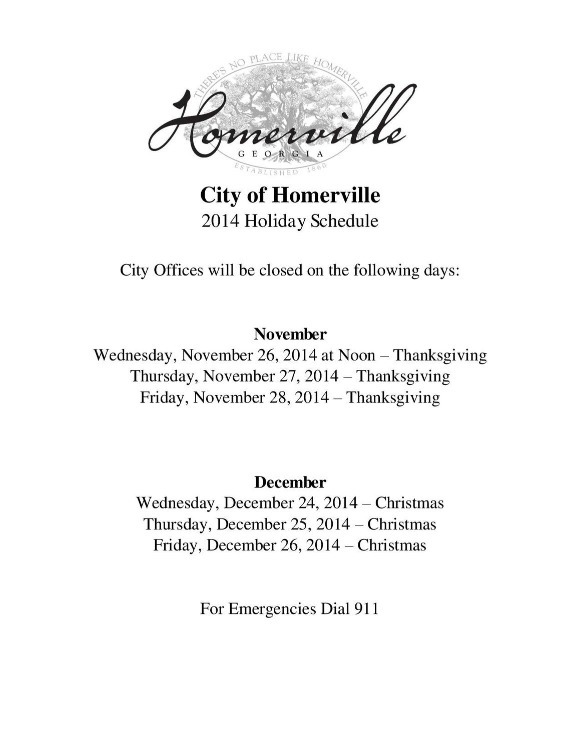 For your convenience we are listing a copy of the City of Homerville's 2014 Holiday Schedule on our blog. For any emergencies during the holidays please dial 911. The City of Homerville, Mayor and Council, and Employees hope all of Homerville's citizens have a safe and happy holiday!